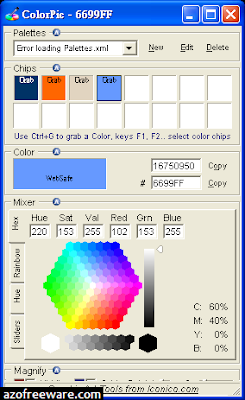 Ever tried using a color picker on a high resolution monitor? It's impossible. That's why this color picker has a magnifier attached. 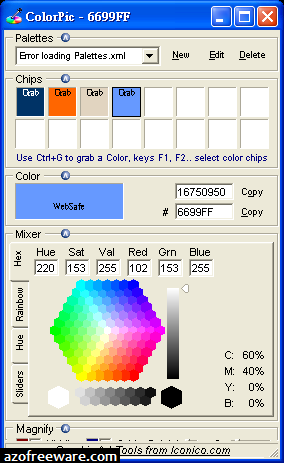 Grab palettes of up to 16 colors at once and use four advanced color mixers to select a spectrum of possibilities.